Type 1 diabetes is a serious, lifelong condition where the body’s blood glucose level increases because of the body’s inability to make insulin. An important consequence of this is the increased expression of extracellular matrix proteins, such as fibronectin and collagen 4α1, in key tissues and organs like the heart and kidneys. Diabetes is also associated with increased plasma levels of the vasoactive peptide endothelin (ET)-1. This further aggravates the expression of the ECM proteins. There are also important consequences of increased glucose and ET-1 levels in diabetes on the heart, termed diabetic cardiomyopathy. We have previously reported the development of ET-traps, which potently and significantly reduce pathological levels of ET-1. In this study, we tested the in vivo therapeutic potential of ET-traps for type 1 diabetes using the B6 mouse model. Following subcutaneous administration of ET-traps 3 times a week, over a 2 month period, the 500 nM dose of ET-traps gave a significant reduction in collagen 4α1 expression in the heart and kidney, returning it back to control, non-diabetic levels at both the mRNA and protein levels. The expression of fibronectin mRNA is also returned to control levels with the 500 nM dose of ET-traps. The efficacy of ET-traps for type 1 diabetes was further evinced by immunohistochemistry data, echocardiography studies (measuring left ventricular systolic function and diastolic dysfunction) and a measure of urine creatinine and albumin levels. In all analyses, the 500 nM dose of ET-traps returns the different measures to control, non-diabetic levels. 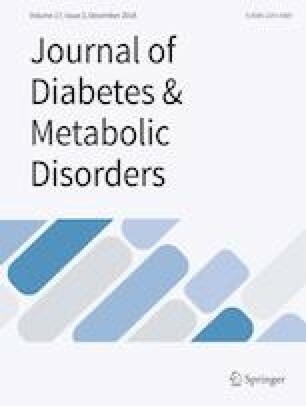 Data from this study show that in a mouse model ET-traps have a potent and significant therapeutic effect on diabetes disease pathology. Future studies could further evaluate the use of ET-traps as a therapy for diabetes, including taking them through clinical trials. ET-traps have a very high binding affinity. ET-traps significantly return different markers of pathology to basal levels (have a therapeutic effect) in an in vivo model of diabetes. The online version of this article ( https://doi.org/10.1007/s40200-019-00400-7) contains supplementary material, which is available to authorized users. AJ participated in the research design. The in vivo testing experiments were contracted out as stated at the beginning of the Materials and methods. AJ, AJ and VM contributed new reagents or analytic tools. AJ, VM, IJ and AJ wrote or contributed to the writing of the manuscript. This project was privately funded. All experiments conformed to the Guide For the Care and Use of Laboratory Animals published by the National Institutes of Health (NIH publication no. 85–23, revised in 1996). Experimental protocols were reviewed and approved by the Western University council on animal care committee. AJ, VM and AJ are members of Accelerate Cambridge, University of Cambridge, UK. Any inquiries on data of this study can be directed to Dr. Arjun Jain.